Since David and I went to Revelstoke to pick mushrooms, I have been eating chanterelles almost every day for almost a month! 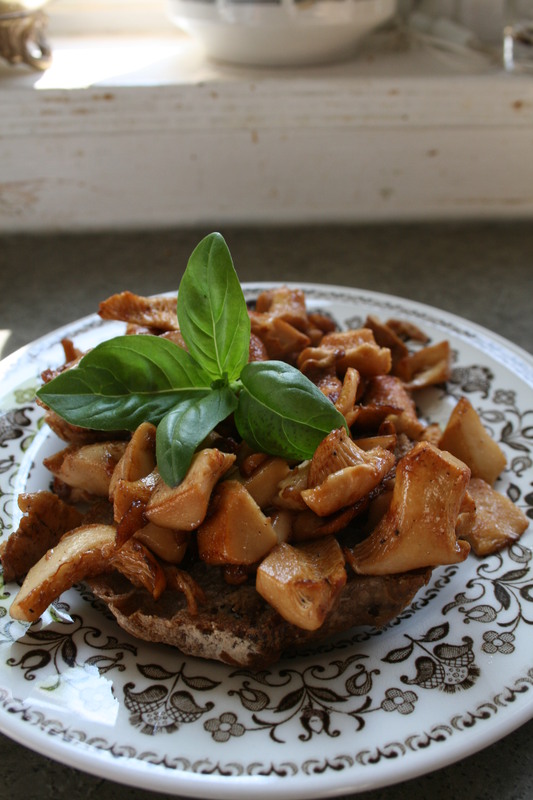 I have not documented all the different recipies that I’ve used the mushrooms for, but in my opinion you can for example add them to creamy pasta sauces, quiche, beef stroganoff, pizza, soup, or simply just serve them on a piece of toast. A large part of the harvest is also stored in our miniscule freezer. 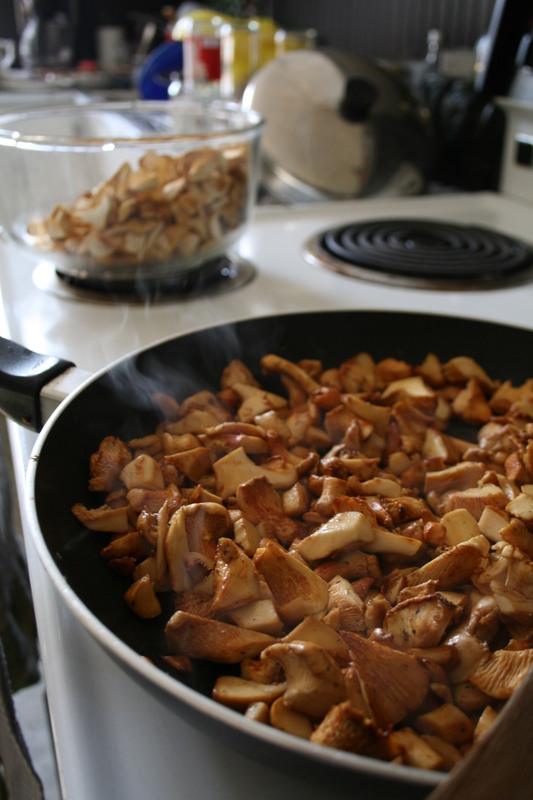 Before you freeze the mushrooms though, you want to fry them in a bunch of butter with some salt and white pepper (it enhances the flavour of the chanterelles). I freeze them in old philadelphia cheese containers, it makes a perfect portion to defrost and use all year round. 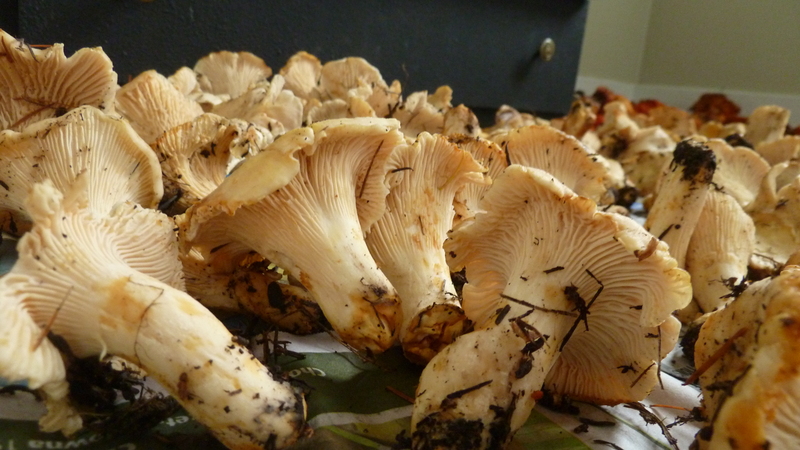 The variery that commonly grows here in BC, Canada is the White chanterelle (Cantharellus subalbidus). It is said to be even more flavourful than the golden one that I am used to from back home. When the chanterelles are just picked they still have that creamy white colour, but as soon as they get a little bruised they get yellow stains. Nothing that you need to cut off though. 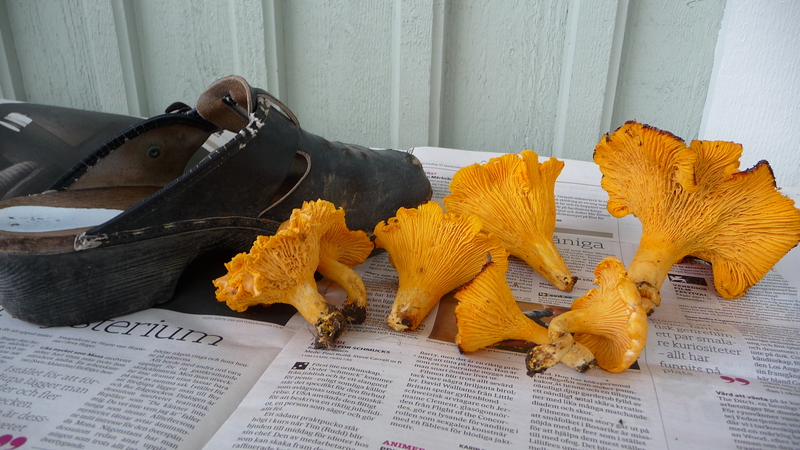 Here’s a picture of some really big golden ones (the shoe is size 10) to compare with that I picked home in Sweden. 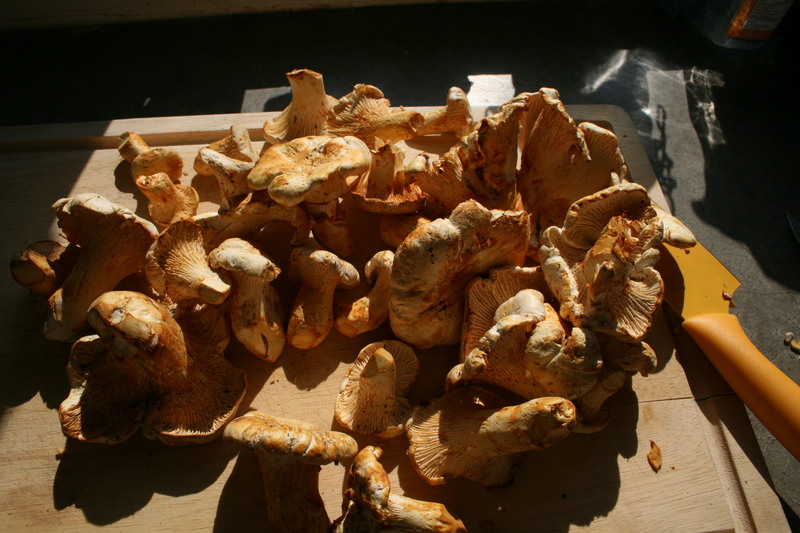 This entry was posted in Quirks, Special occations, Vegetarian and tagged chantarelles, cooking, food, foraging, fungi, mushrooms, photo by Kristin. Bookmark the permalink. These look amazing. I would probably pick a poison one and die.